Fabric Headboards are extremely popular and on-trend at the moment, providing function and a design statement in one piece! The design options are endless and all headboards are custom made to suit your bed size and room size. 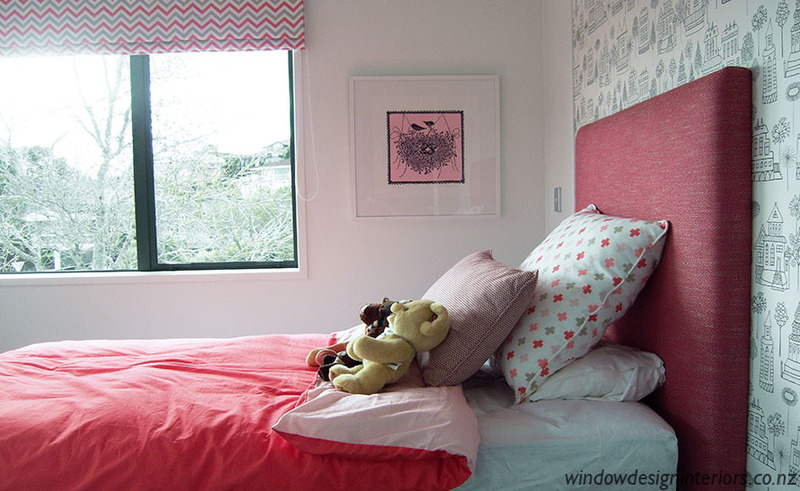 High headboards are particularly striking in a room with a high stud or a high bed. 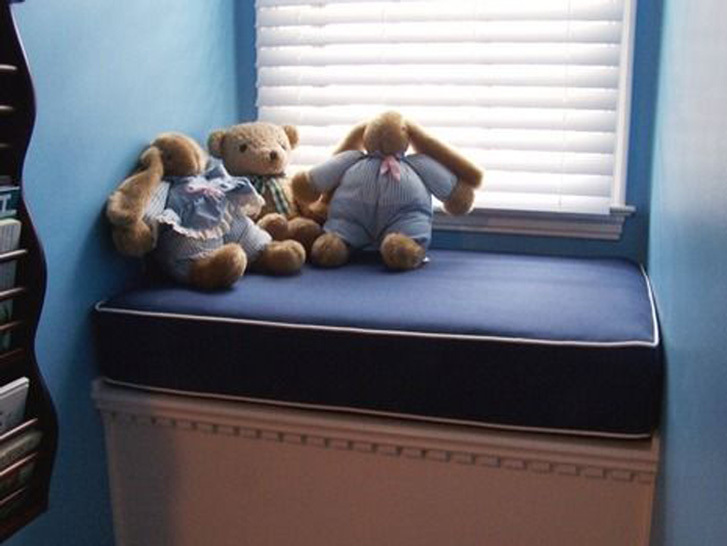 Designs include studs, plain wraparound, boxed, piped or even winged headboards. The WDI consultants are experienced and can guide you through style options and fabric selections. 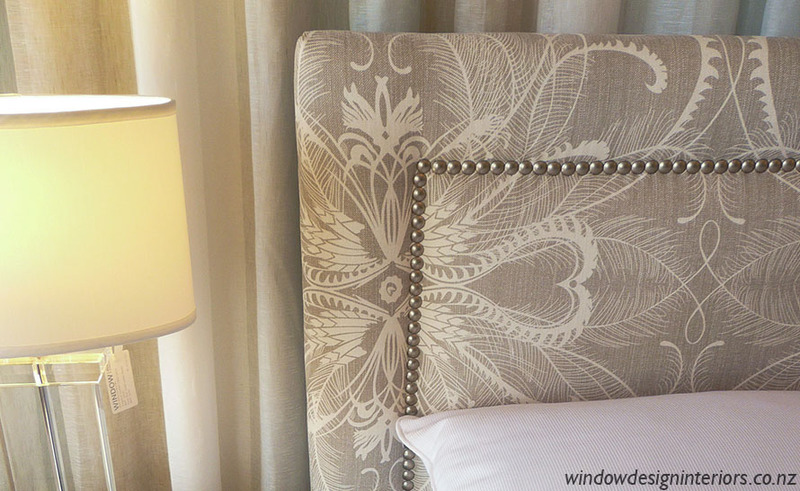 WDI headboards come with a mounting board and customized skirting board cutouts. 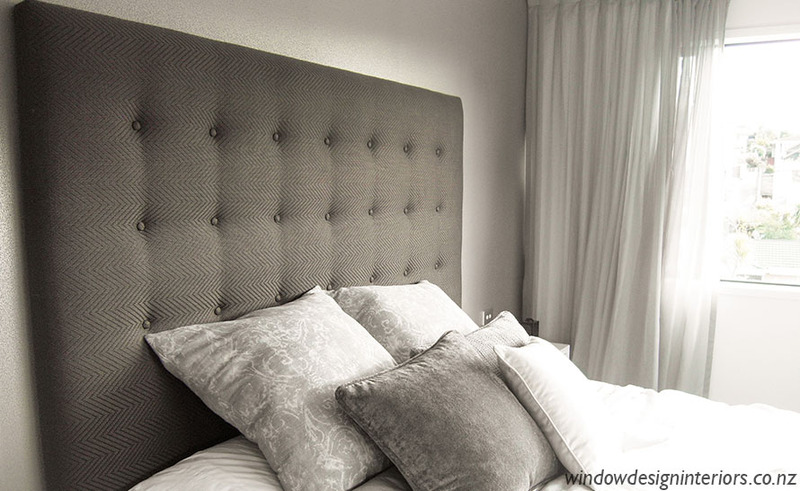 Our experienced installers are happy to install WDI headboards in your home. 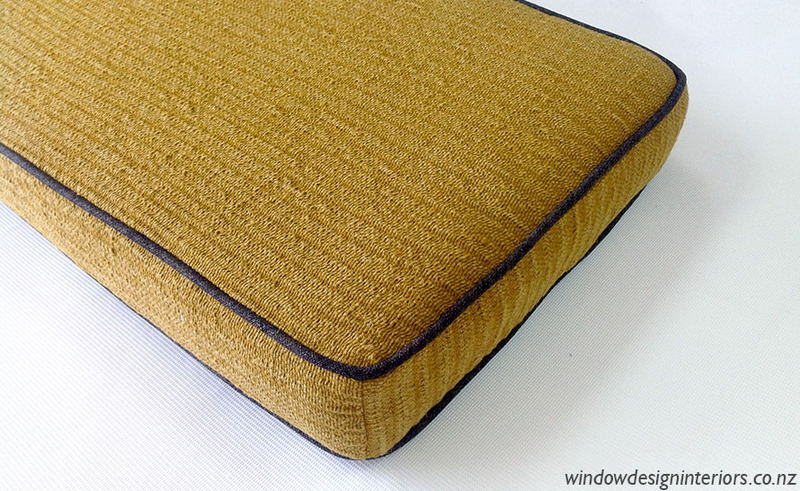 Reupholstering will transform a favorite piece of furniture that has become tired, out of date or just needs a revamp! A ‘Trade Me’ find can be transformed into ‘wow’ with a little clever creative flair. 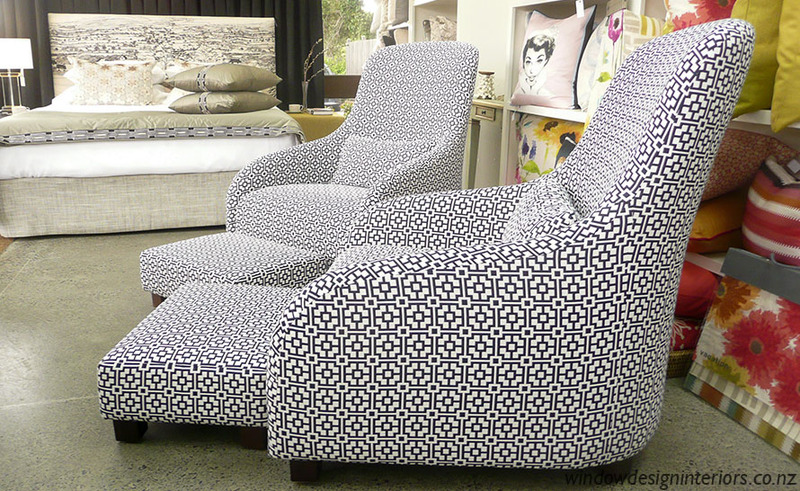 Let the WDI team assist with this transformation from the wonderful fabric selections displayed in our showroom. We can guide you through the selection process and help fine tune all the possibilities. WDI can recover existing or supply new foam, ‘made to measure’. WDI have an extensive range of high performance fabrics available. 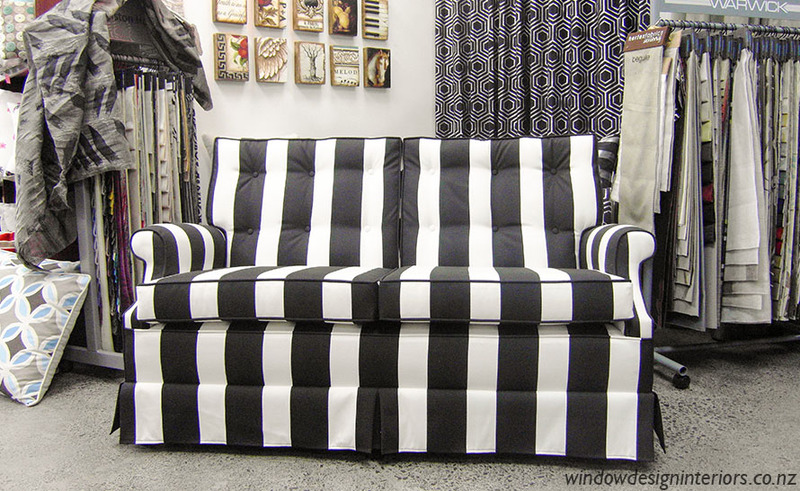 These fabric options are specifically suitable for NZ’s harsh sun, so are perfect for window seats and out door furniture. Team them up with beautiful cushions and the end result will surprise you. Squabs can be plain with top stitching or piped for extra detail. All squabs have zip openings and foam can be indoor tetron wrapped or outdoor reticulated (which is designed to drain well and dry quickly – perfect for outdoor use). 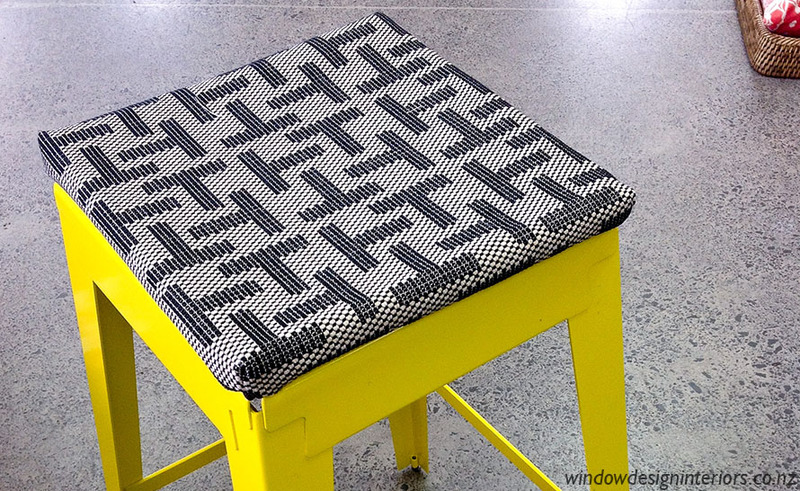 Have you thought of adding a chair pad to your uncomfortable bar stool? Not only does this make a design statement, it’s practical as well!